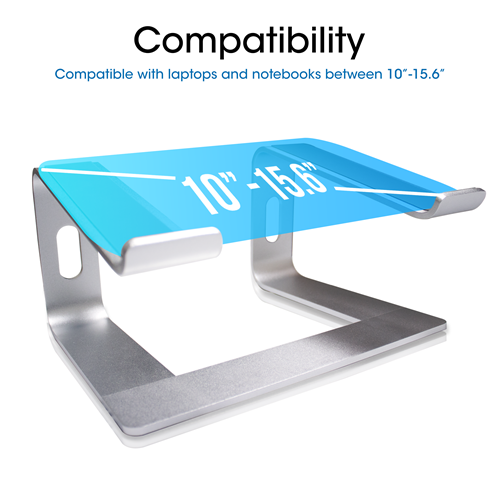 SUITABLE FOR LAPTOPS UP TO 15.6'' - The laptop stand fits all laptops from 10 - 15.6 inches, such as MacBook, MacBook Pro, MacBook Air, Lenovo ThinkPad, Dell Inspiron XPS, HP, ASUS, Chromebook. 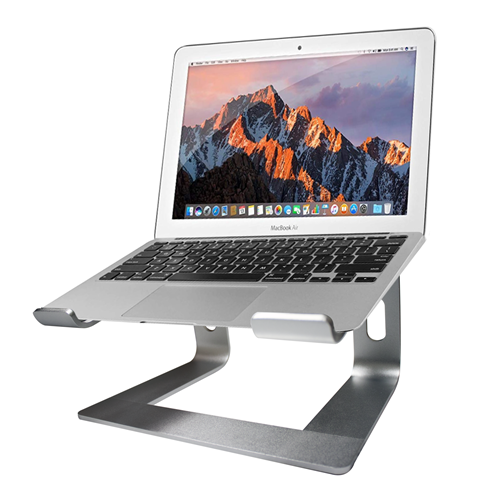 STURDY & PORTABLE - The TechMatte office computer stand is made of solid thickened Aluminum alloy, so the stand is sturdy and produces little wobble. 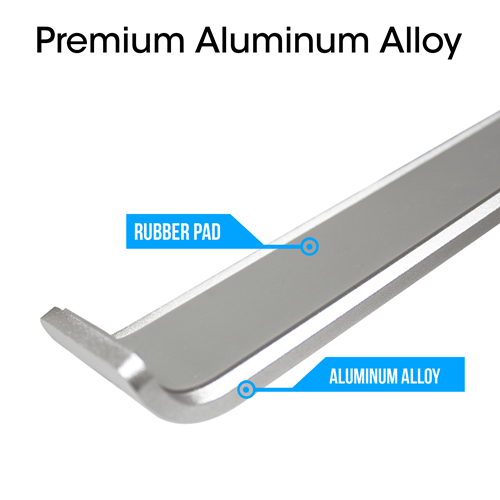 The rubber on the arms of the stand ensures your laptop will not slip or move. 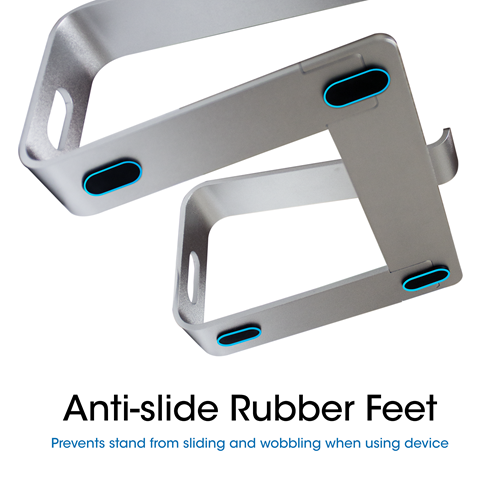 The rubber feet prevent the stand from slipping and sliding around on your desktop. The stand is easy to install without tools and if you need to take it anywhere it can be uninstalled just as easily. 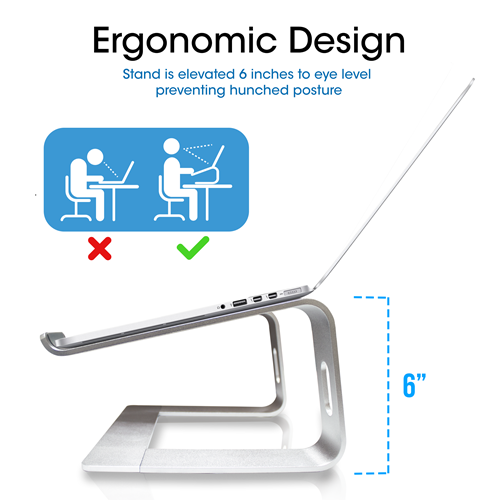 ERGONOMIC DESIGN - The slim compact stand elevates your laptop by 6’’ to perfect eye level and prevents you from hunching over your screen. The extra height reduces neck and shoulder pain/strain. 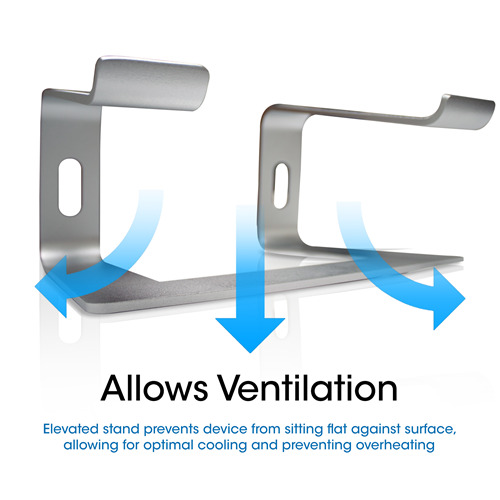 BETTER COOLING AND ORGANIZATION - The added height of the stand keeps your laptop or notebook off the desktop surface to allow for better ventilation and reduce overheating. The space underneath the stand allows you to organize your office items such as keyboard and mouse.